When it comes to makeup, I tend to make snap decisions. For example, I'll see a photo of a new lipstick shade or swatch of a new blush online and within seconds of seeing it, I've either decided that I love it and cannot live without it or it's just not pretty enough to be part of my collection. Mainly because when I rush out and buy (or don't, in some cases) whatever item it is that I've decided I love, there's always the risk that it won't live up to the expectations I've created in my head and I come away disappointed. That's happened more than once, unfortunately. It doesn't seem to stop me from being impulsive. 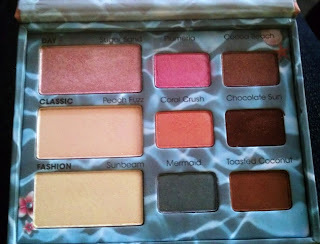 Case in point - the moment I caught a glimpse of Too Faced's new Summer Eye Palette, I knew that I was going to buy it. The colors looked gorgeous in photos, I was drooling over swatches on other blogs, and I adored the fun packaging that just screams summer. So I ordered it the very first day that it was available. And now that I've had it for a week, wearing colors from it nearly everyday since it arrived, I can safely say that this is one time when my snap decision was the right one. This palette is beautiful - in every possible way. 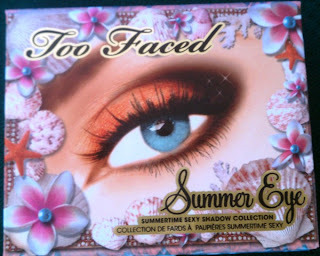 Like all of Too Faced's recent palettes, it contains 3 rows with 3 shadows each for a total of 9 all together. The shadows are grouped in rows to indicate Too Face's recommended Day, Classic, and Fashion pairings (the palette also includes cards that explain how to create each look), but they are a ton of ways to pair these shadows so the possibilities are endless. The thing that I like best is that Too Faced included just enough neutral shades with a few eye-popping brights, so it's easy to create summer looks that are totally wearable - even if you're not a big fan of bold color on your eyes. 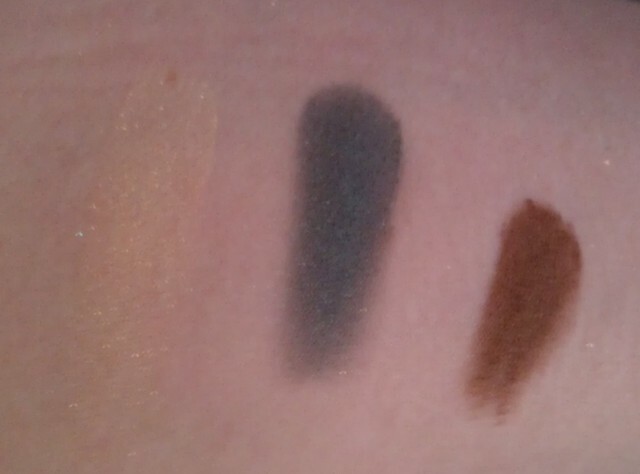 My favorite combination of shades from the palette is actually Too Faced's suggested Fashion pairing - Subeam, a sheer, sparkly yellow, Mermaid, a satiny deep teal, and Toasted Coconut, a deep matte brown - for me, it's the perfect smoky eye for summer nights (though I think it'll go into my year round rotation because I love it so much). Other standouts include Coral Crush, a killer shade for bringing out blue eyes, and Cocoa Beach, a sparkling medium brown. 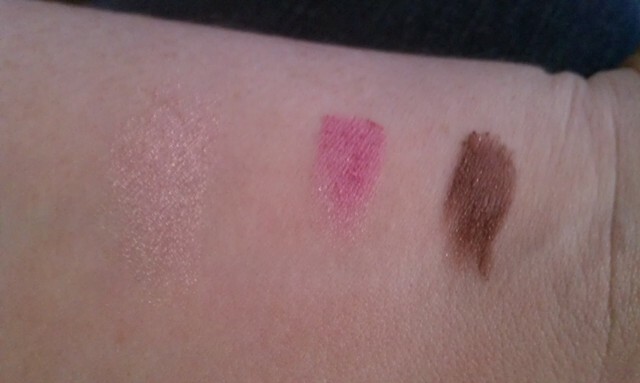 Like all of Too Faced's shadows, these are highly pigmented, smooth, and easy to blend. The three lighter shades - Sugar Sand (so pretty! ), Peach Fizz (another nice one for blue eyes), and Sunbeam (gorgeous when the light hits it) - are all rather sheer, but they work well as highlights, all over lid colors, or a base for darker shades. I can already tell that I will be living in the colors from this palette this summer, but I really think that you could use it year round - or at least certain shades from it anyway. It's $36, which is fairly pricey, but I definitely think it's worth the investment. I got a few other goodies from Too Faced recently that I'm also pretty excited about, but I think I need to try them out a little longer before I review them. Have you bought the Too Faced Summer Eye Palette? Are you planning to? What's your opinion?